It doesn’t take much to see the amount of joy brought to Michelle’s face for her 55th birthday celebration. 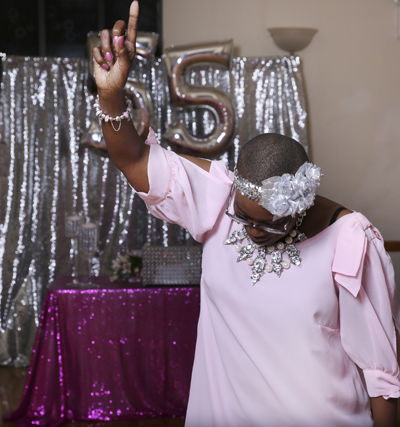 She laughed, danced, and posed with her friends throughout the night as the music played on and family hit the dance floor. A party with this much energy and bliss can only happen when everything falls perfectly into place, allowing for the host to fully enjoy their experience and relax after weeks of planning. From cupcakes, to chair wraps, to elegant décor, Lady T designs embodied what it means to exude excellence in everything that one does. 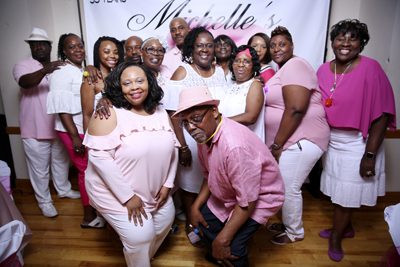 The guests were blown away by the amount of detail that went into this totally pink affair, honoring Michelle’s victory over breast cancer. With over twelve years of business experience, it’s easy to see that decorating comes naturally to the Brooklyn based designer. 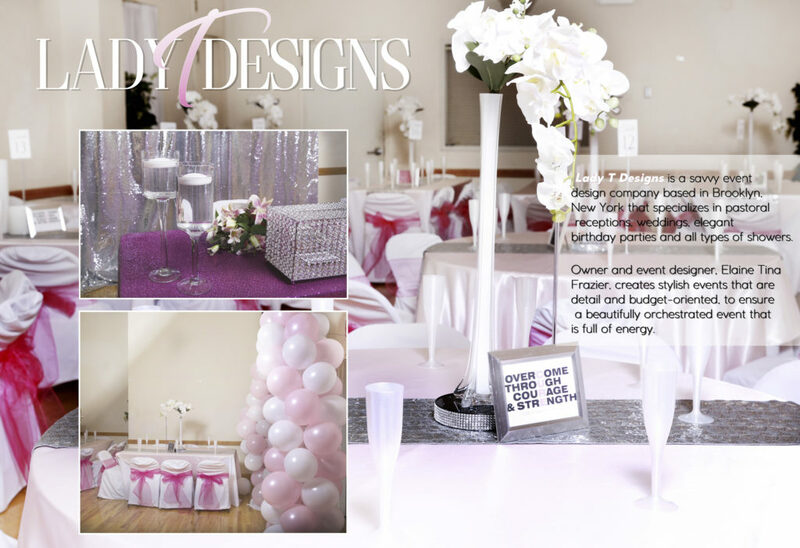 Lady T’s background is in interior design, but every month she produces over ten events in the forms of weddings, birthday parties, christenings, and special occasions. Through every photograph we took last Friday, we were able to see her passion and hard work manifested in art form. It’s shocking to believe that she offers so many incredible services at such an affordable price. 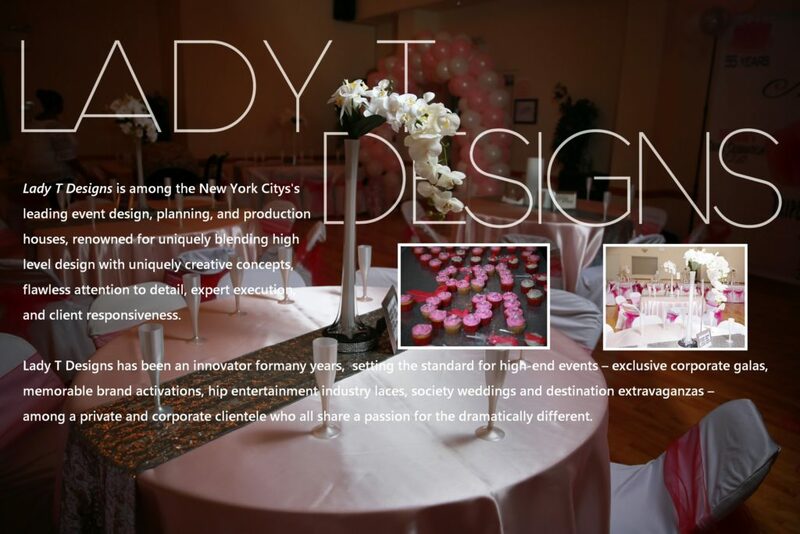 Ricardo Andre Studios is proud to announce its new partnership with Lady T Designs on events of every spectrum. Click here to view our event management + photography packages at a discounted rate with promo code: Michelle. With a team like ours, you’ll have every guest smiling from ear to ear – with each moment captured in its purest light.